Global Bias (Crossply) Agriculture Tires Market Insights, Forecast to 2025 | Market Research Reports® Inc. 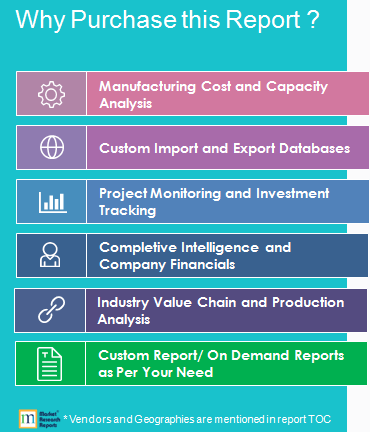 Global Bias (Crossply) Agriculture Tires Market Insights, Forecast to 2025 report is published on April 11, 2019 and has 126 pages in it. This market research report provides information about Components, Automotive industry. It covers Global regional market data and forecasts. It is priced starting at USD 4,900.00 for Single User License (PDF) which allows one person to use this report. Global Bias (Crossply) Agriculture Tires market size will reach million US$ by 2025, from million US$ in 2018, at a CAGR of during the forecast period. In this study, 2018 has been considered as the base year and 2019-2025 as the forecast period to estimate the market size for Bias (Crossply) Agriculture Tires. The consumption of Bias (Crossply) Agriculture Tires in volume terms are also provided for major countries (or regions), and for each application and product at the global level. Market share, growth rate, and competitive factors are also evaluated for market leaders Michelin, Bridgestone, etc. To analyze and research the global Bias (Crossply) Agriculture Tires status and future forecast，involving, production, revenue, consumption, historical and forecast. To present the key Bias (Crossply) Agriculture Tires manufacturers, production, revenue, market share, SWOT analysis and development plans in next few years. This report includes the estimation of market size for value (million USD) and volume (K Units). Both top-down and bottom-up approaches have been used to estimate and validate the market size of Bias (Crossply) Agriculture Tires market, to estimate the size of various other dependent submarkets in the overall market. Key players in the market have been identified through secondary research, and their market shares have been determined through primary and secondary research. All percentage shares, splits, and breakdowns have been determined using secondary sources and verified primary sources.